Part of a letter from J.C.J. 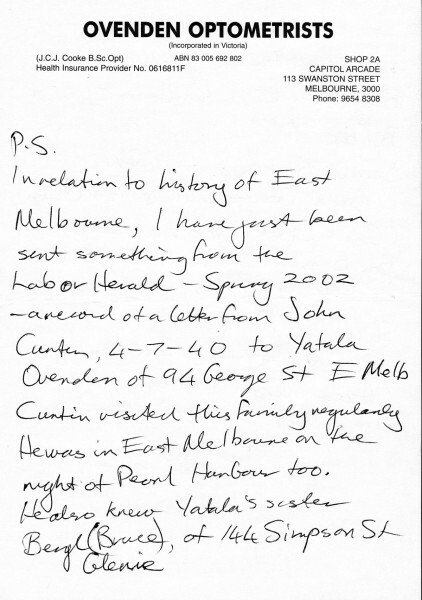 Cooke talking of connection between John Curtin and Ovenden family of 94 George Street, East Melbourne. 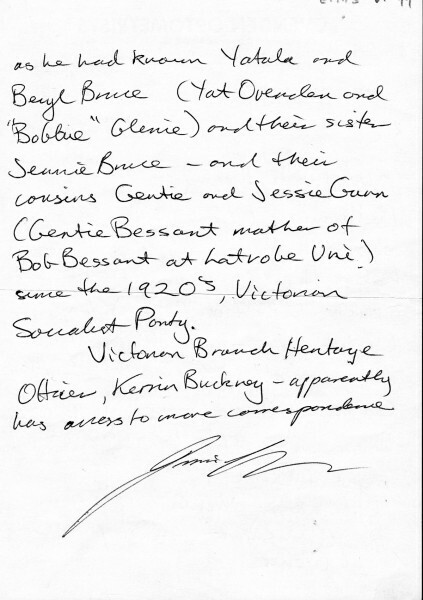 J.C.J Cooke is Nina Stanton's optometrist and the letter was written to Nina for the historical society.